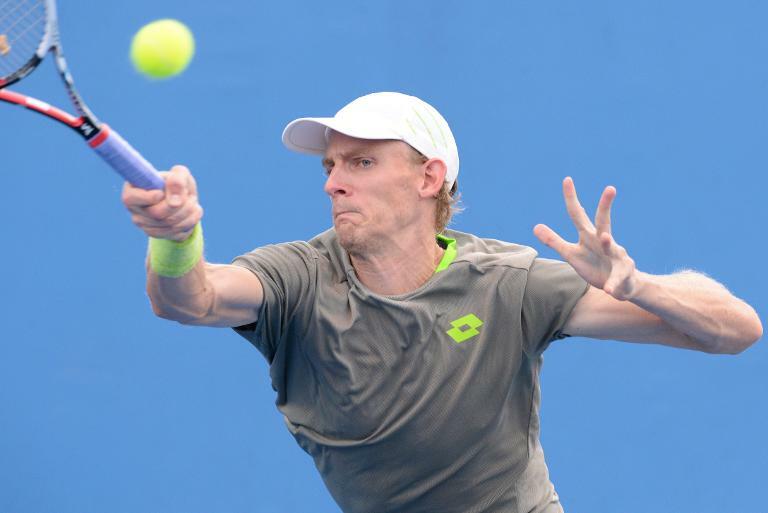 FILE PICTURE: South Africa's Kevin Anderson. PHOTO: AFP. South Africa’s Kevin Anderson shot to a new career-high 18 when the latest ATP World Tour singles rankings were announced on Monday. In August last year, the big-serving Anderson became the sixth South African men’s singles player to break into the world top 20, reaching 19 on the rankings. Other South Africans ranked inside the top-20 in the past were Kevin Curren ranked number five in July 1985, Wayne Ferreira reached number six in May 1995, Johan Kriek seven in September 1984, Cliff Drysdale 13 in May 1974 and Christo Van Rensburg was ranked 19th in February 1988. The 27-year-old held his grip on position 21 the previous week but clawed his way up three places after finishing runner-up in the Mexican Open final in Acapulco on Saturday. Anderson crumbled to fourth-seeded Bulgarian Grigor Dimitrov, who came back from a break down in the third set to beat him 7-6 (1), 3-6, 7-6 (5). He was also runner-up in the previous week’s Delray Beach tournament in the US. South Africa’s top-ranked women’s player, Chanelle Scheepers, climbed three places to 74 in the latest women’s world tennis rankings, while Raven Klaasen remained at 30 in the men’s doubles rankings. Lucas Sithole held onto the second spot in the men’s singles quads division, a position he had held since early September. He also remained eighth in the quads doubles rankings.